The Playstation 4 arrives in Europe (and other places like Australia) in just a few days’ time on November 29 and finally, the PlayStation mobile companion app is also available to download. 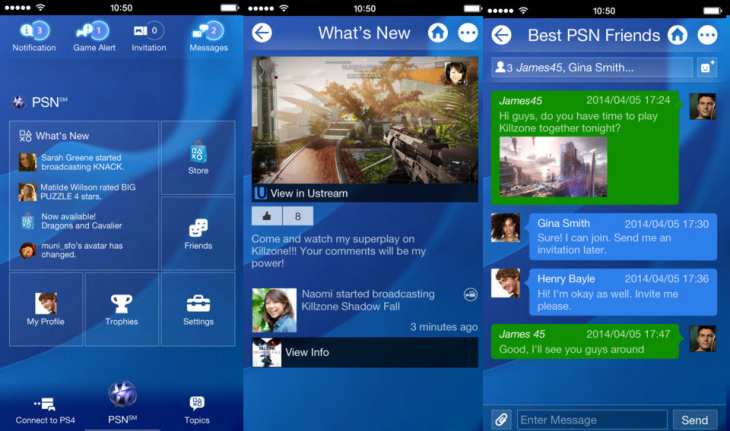 If you want a full run-down of what the Playstation mobile app can do (and where can download it) then check out this previous blog post. Essentially it will let you use your mobile as a second screen for some games, communicate with your PSN friends, receive game alerts, start game downloads (including demos etc) and also compare your Trophies. Sony also just published the list of console apps that will be available for European PS4 owners at launch. As you can see not all are available everywhere (in fact most are limited to specific countries) and in addition, the Quickflix app for NZ and Australian gamers will be rolled out later in December.